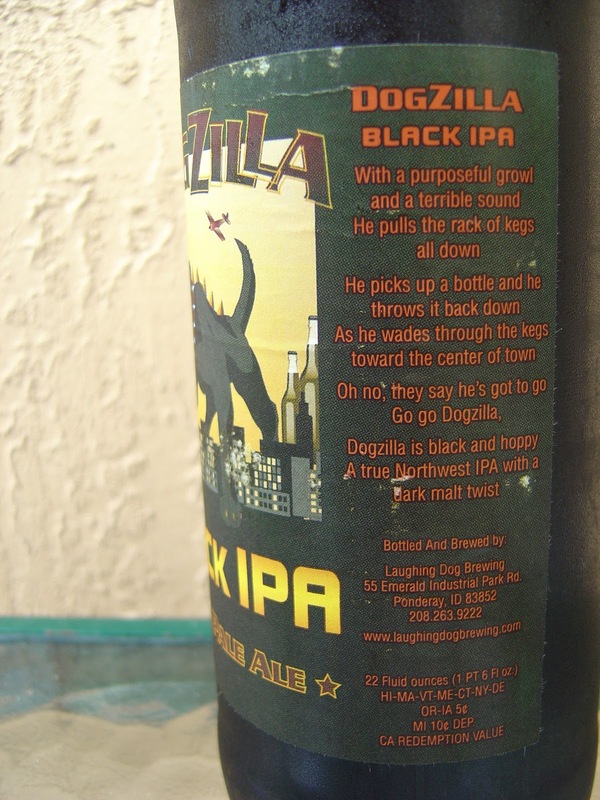 This afternoon I'm drinking DogZilla Black IPA brewed by Laughing Dog Brewing in Ponderay, Idaho. The label depicts vicious dog beast DogZilla wreaking havoc on beer-bottle city. Good thing this is a big 22 ouncer; otherwise he might not have fit the dimensions. I'm betting the two bi-planes buzzing around will not be able to shoot him down either. There is also a story. Giant fluffy head which never really goes away completely. 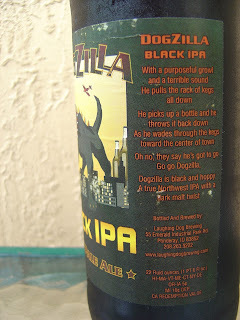 I was pretty careful pouring too. 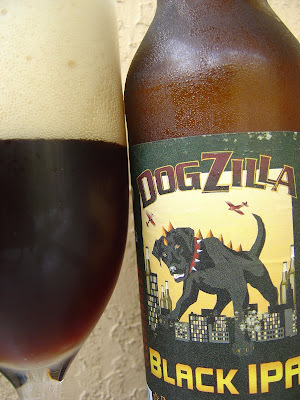 The aroma is malty, but there is also a large amount of citrusy orange and lemon behind it. Burnt nutty and bread flavors start things off while some sweet caramel tries to poke its head in there. At the same time, hoppy and bitter are also making sure that they have your attention. Sweet and bitter are both present and rather than blending to a balanced neutral, they remain distinct, playing off of each other. More bread, then some big lemon citrus bite, pine and sharp spiciness. Bitter finally dominates and bitter lemon is left behind on your palate. Nice carbonation. 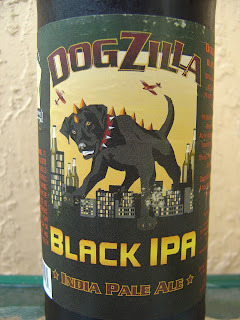 Pretty good beer, too!